DAVID LE/Staff Photo. 6/18/15. 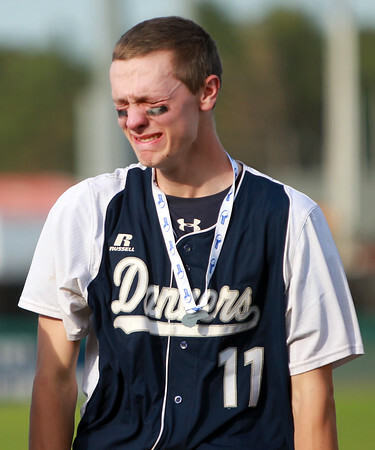 Danvers senior Andrew Dunn can't fight back tears after the Falcons fell to Middleboro 4-3 in the D2 State Championship.